HomeCinemaMasalaPaulo Coelho sends the first copy of his book Hippie to Shah Rukh Khan and the superstar is super excited! Paulo Coelho sends the first copy of his book Hippie to Shah Rukh Khan and the superstar is super excited! Well, the Paulo Coelho and Shah Rukh Khan friendship has always been quite prominent on social media. The two of them have been admirers of each other for some time now and they have no qualms in exchanging some sweet posts appreciating their work in their respective fields. Something like that happened yet again on Twitter. 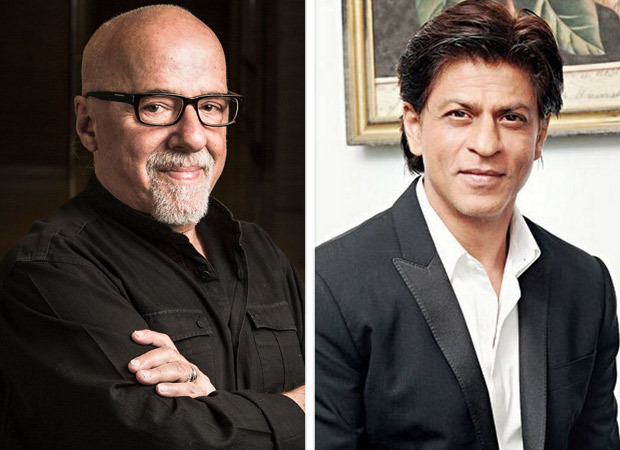 Earlier, Paulo Coelho had taken to the same platform to share his thoughts on Shah Rukh Khan’s film My Name Is Khan, wherein he had stated that the actor deserved an Oscar for his performance as an autistic man in the film but didn’t get one because of the biases and prejudices of Hollywood. To the same, Shah Rukh Khan too had taken to Twitter to thank the author for his kind words and expressed how much he loves Coelho’s works. Coming to films, Shah Rukh Khan will be seen as a vertically challenged man for the first time in Aanand L. Rai’s Zero that also stars Anushka Sharma and Katrina Kaif. The film is expected to release on December 21. Note To Al Pacino’s Girlfriend: Don’t Hold Your Breath Waiting For A Ring! The Chic Way To Wear Oversized Everything! Meghan Markle: Doomed To A Lifetime Of Pantyhose?